Music For Medical / Dental / Health Care Offices, Simplified! How to put background music in your medical center or consultation in a simple way? How to use this element properly in your center? Many businesses require having waiting rooms for their patients. In a doctor’s office, music plays a much more important role than in other businesses, since the reason why patients tend to go to this type of consultation is usually to solve a health problem. 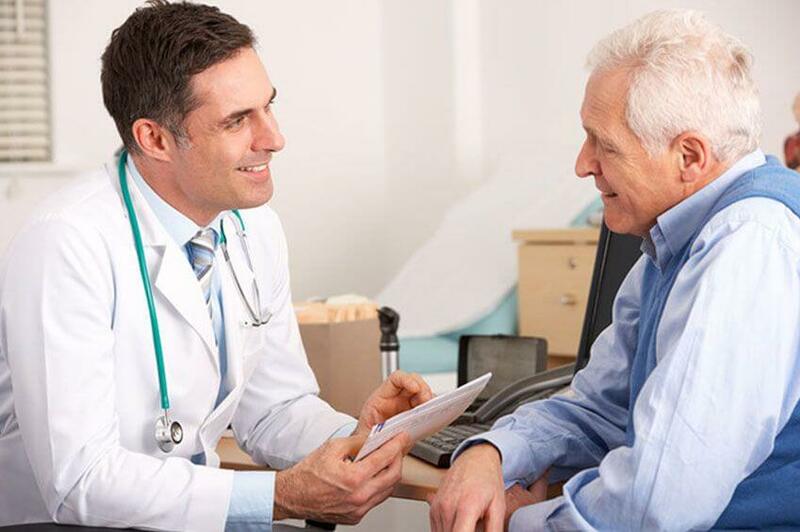 And as we will see in this article, when it comes to creating a positive perception of service in the patient, it is not only important to solve the problem, but also the way in which the problem is solved. The main reason why music plays a very important role in any medical center is to diminish that initial feeling of anxiety of every visitor. As a general rule, when someone goes to the doctor or dentist, they are afraid of something: pain, injections, anesthetics or simply that they will find some new problem in any daily check-up. It is on that stage that music must come in to help patients calm down just before they are seen by any doctor. However, this sound element is not only capable of creating a certain atmosphere, but also of increasing positivism and improving the mood of patients. In this way, you will find not only calmer and more relaxed patients, but also clients with a better attitude and predisposition to be treated. Nor can you ignore the fact that music is capable of helping enormously in the creation of a strong and solid brand image. And the creation of a consolidated image and good positioning are essential to get patients back to your medical center and also to help create a positive word of mouth, so you can spend less on advertising in the long run. Music also helps you express yourself better, which will make patients explain their problems better to the doctors in the practice and, therefore, the doctor will be able to recommend better treatment. However, the effects of music are not only felt by patients, but also by doctors, who will be able to communicate their diagnosis more fluently and comprehensibly. The importance of this sound element is also due to its ability to convey a sense of companionship in patients, which will make them rarely feel alone. In order to put an end to the relevance of music in medical practices, what is known as music therapy, a technique based on using music as a treatment to solve and cure health problems that patients may have, is becoming more and more important. Helps in the healing of wounds (highly recommended for post-operative surgery). It favors the good functioning of the cerebral activity (an increase of the neuronal communication). It reduces phobias, such as fear, and reduces blood pressure (highly recommended for hypertensive patients). , also known as ‘Spotify for Business‘, is a musical management platform. To be able to program the songs or playlists in determined schedules of the day. Use of the platform via web or app. Suitable music for each type of business and automatic updating to avoid saturation of customers and employees. Currently, the price is 26.99€/month per location. In addition, today they are offering a free one-month trial period so you can see if their solution is right for you, without any kind of commitment. is a platform very similar to the previous one, the only difference is that the music offered is not famous or known music, but royalty-free songs from indie artists. It has different types of licenses but the one we are interested in is the so-called ‘Radio License’, which will allow you to have access to and use in an unlimited way the music broadcasted in 27 online radio stations. From 51m2 to 100m2: 7.99€/month. From 101m2 to 400m2: 9.99€/month. From 401m2 to 1000m2: 19.99€/month. In addition, Jamendo is currently offering a free 2-week trial period so you can try their service without any commitment. HOW TO USE THIS ELEMENT PROPERLY IN YOUR HEALTH CENTER? Once I’ve made clear the importance of music in medical offices, I’ll explain how to manage the music in order to maximize its effects. One of the first recommendations is to use music with a not too high rhythm and tone, as remember that one of the things you should look for is the creation of a calm atmosphere. In that sense, classical music is highly recommended, as it is the perfect genre to create a calm and harmonious atmosphere. However, do not always use the same genre, as it is ideal to intersperse different types of music to avoid saturating workers and patients. The fact of using one musical genre or another will depend a lot on the area of the office and also on the time of day, since it is not the same to talk about the waiting room and the doctor’s own consultation, just as it is not the same to talk about relaxed patients who come in the morning and stressed clients who come in the afternoon after work. The volume is also a very important aspect, since it must be adjusted in such a way that it can be heard without problems, but also in such a way that it does not hinder communication between workers and patients. In addition, the music must also be in perfect harmony with other aspects such as decoration and furniture, in which comfortable seats should never be missing so that patients can wait and have more easiness when meditating. With this article, I hope I have made clear both the importance of music for any health or dental clinic and the proper way to manage this sound element in this type of business. It doesn’t matter if you want to use the music more to calm your patients or to make your workers do their job optimally, because the important thing is simply that you decide to take the step to use it. Over time I am sure that this not very high investment will bring more revenue to your medical office or clinic, as well as a better brand image. With platforms like the ones we’ve been talking about: Soundtrack Your Brand and Jamendo Licensing, from now on managing this element is something much simpler.